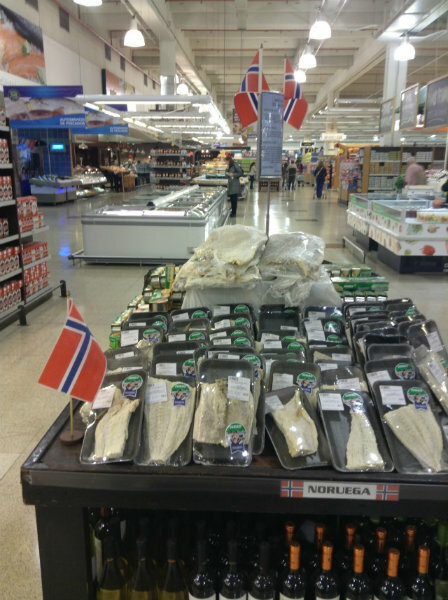 The big Jumbo supermarket in Palermo had a whole table of Norwegian bacalao (dried cod) with Norwegian flags and all! Image | This entry was posted in Buenos Aires, Norsk i Argentina, Norway in Argentina. Bookmark the permalink.